This free workshop introduces students to RNAO’s best practice guidelines and evidence-based practice, along with a model to implement best practice guideline recommendations into clinical practice. Throughout the workshop, participants utilize RNAO’s Toolkit: Implementation of Clinical Practice Guidelines, learning how to identify where practice change could be made, engage stakeholders, assess readiness for change and develop a plan for implementing best practice recommendations. Students will also learn about the importance of point-of-care leadership as integral to successful practice change using the RNAO Best Practice Guideline, Developing and Sustaining Nursing Leadership. 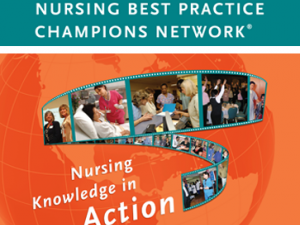 All Ontario student nurses are eligible to attend the Student Best Practice Champions Workshop. Undergraduate allied health students are also eligible to attend, however priority is given to nursing students.